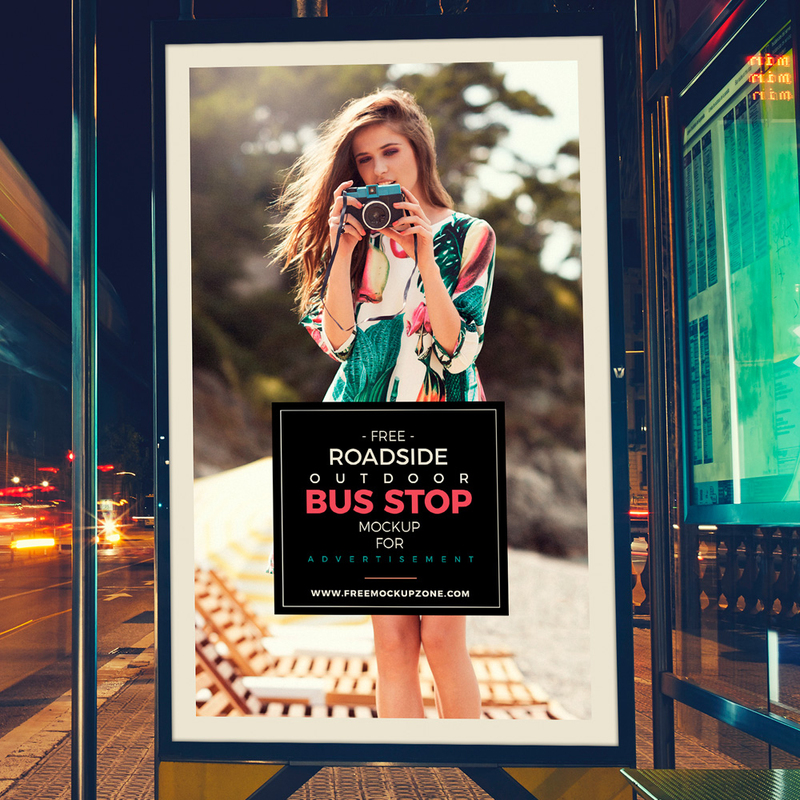 An outdoor mockup scene for your billboard design presented in an urban bus stop sign. Ideal for your outdoor advertising or branding billboard designs showcase. Smart-object is provided in PSD file to place your work.